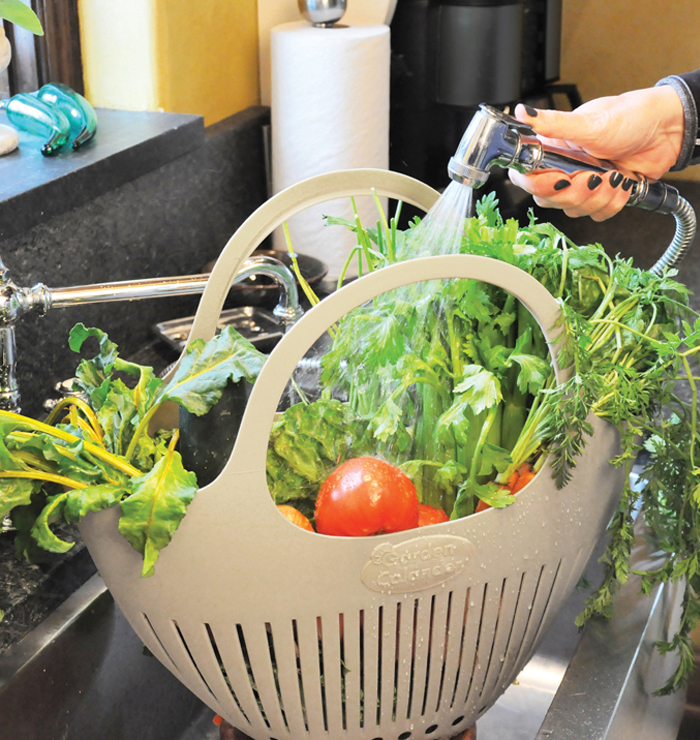 Cut, Carry, Clean. 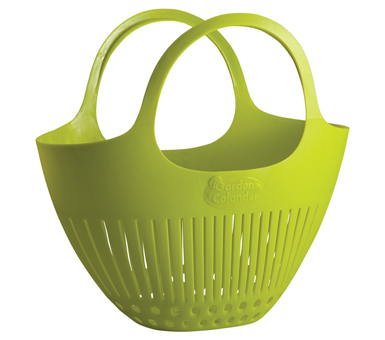 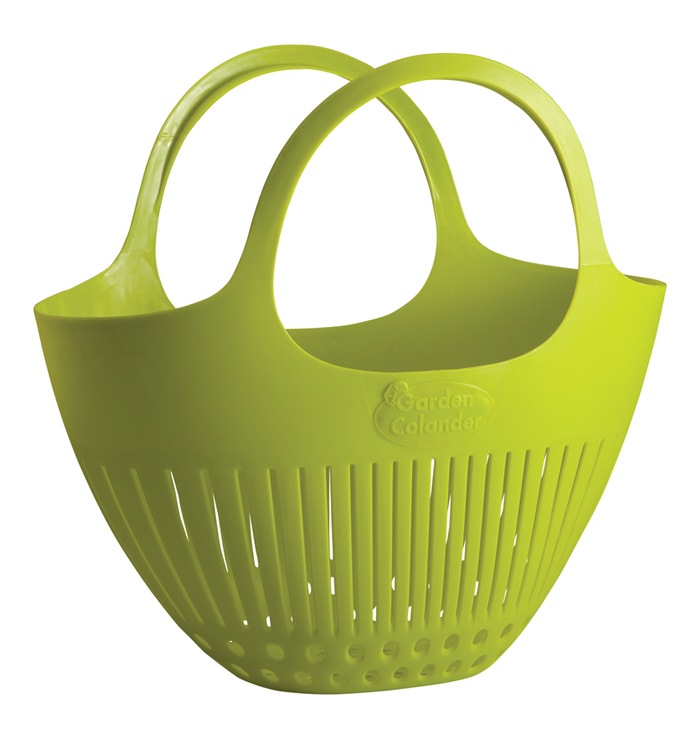 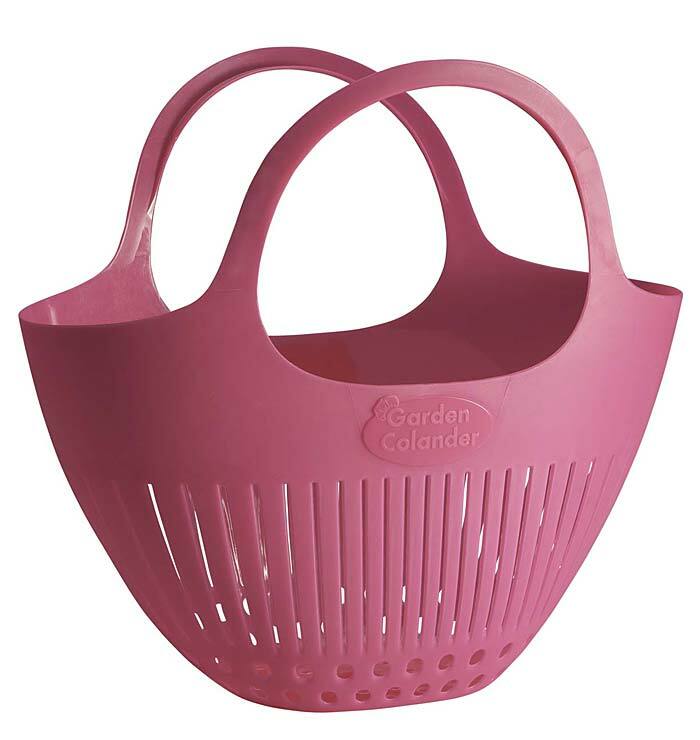 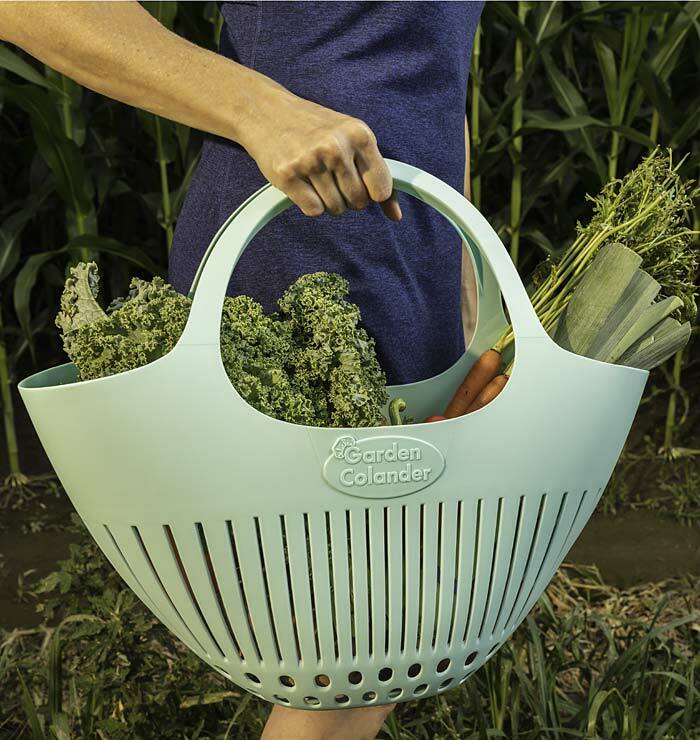 This comfortable colander bag is perfect for collecting fresh vegetables from your backyard garden or farmer's market. 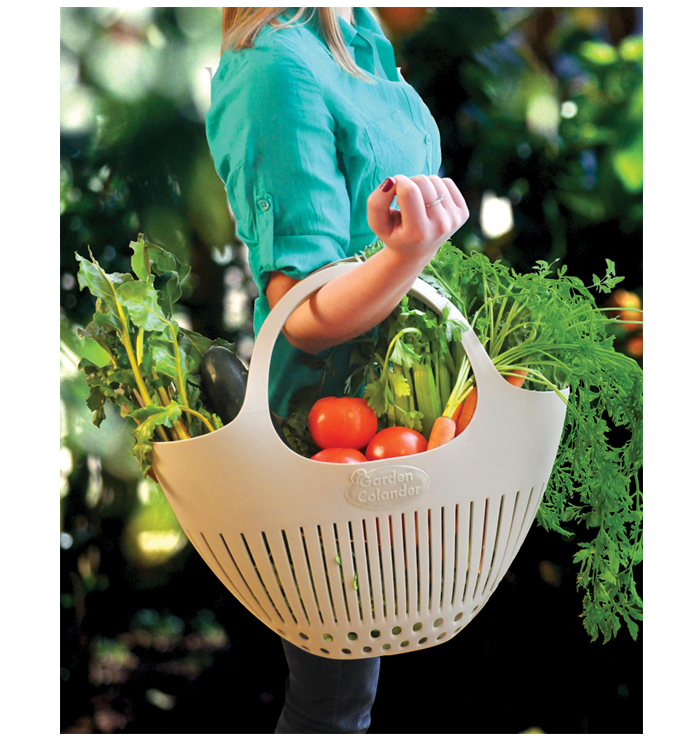 Any loose dirt shakes right out from the bottom. 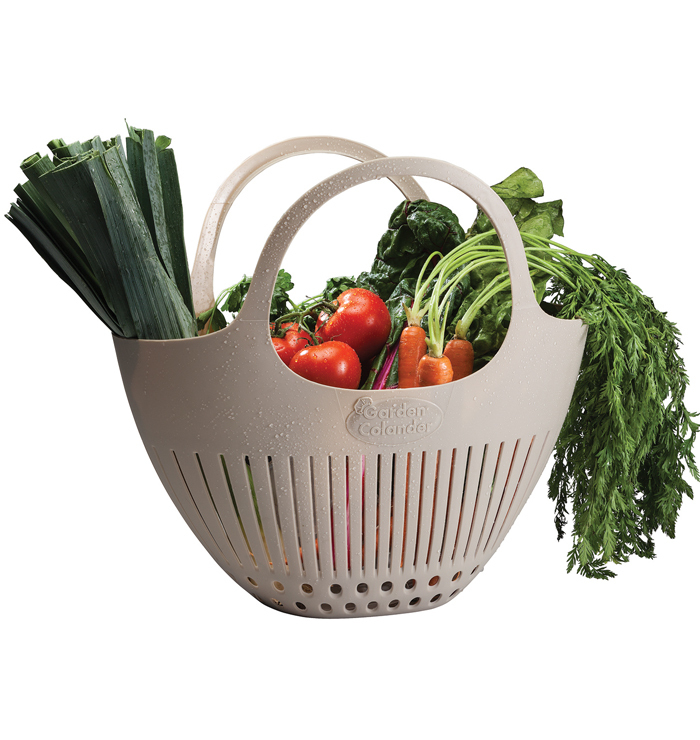 Then wash all your vegetables at once with the garden hose or bring them to the sink and wash them right there in the bag.